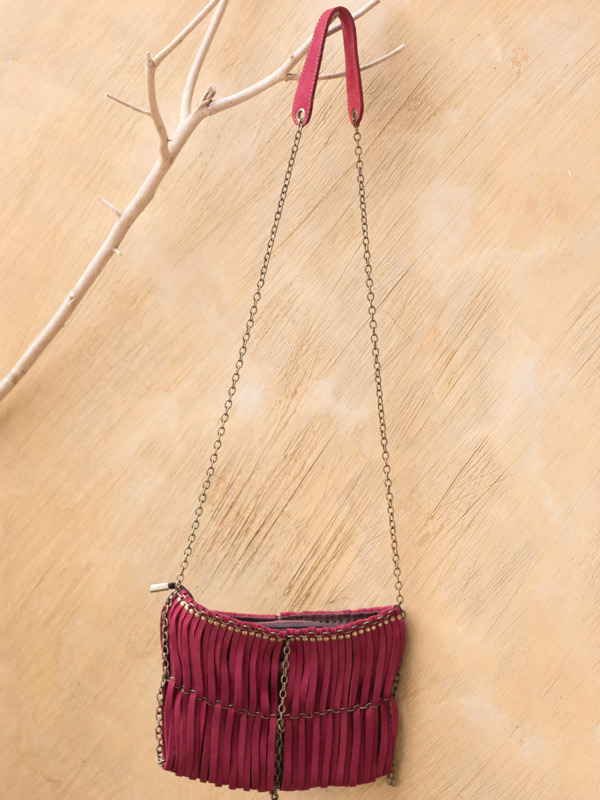 Hand-cut leather strands secured by stylized bronze hardware. Zip top with cotton lining and one internal open-top pocket. Size : L 9.5" H 6.5" Strap 46"